When Hulu launched an ad-free version of its streaming service last month, CEO Mike Hopkins vowed that it was "not our exit from the ad business by any stretch" and that advertising would "continue to be central to our business." 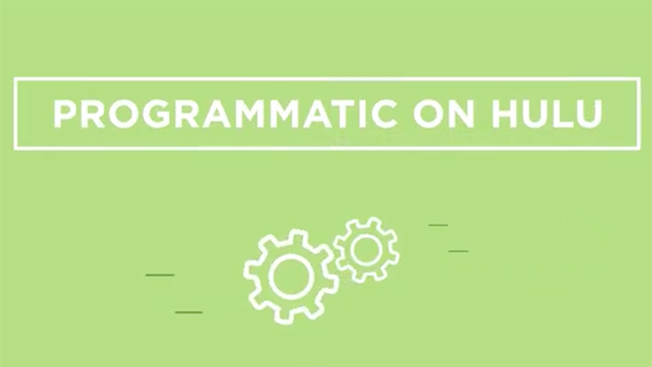 Hulu kept its word, announcing that as of today, it's open for programmatic advertising. As part of the company's programmatic ad strategy, first unveiled in August, Hulu has partnered with Oracle Data Management Platform and Facebook-owned video-ad platform LiveRail to offer programmatic advertising options for the first time. The Oracle DMP combines first-party and third-party data, which Hulu says will help it increase reach, scale and efficiency for marketers as they personalize their campaigns. LiveRail's Video Private Exchange will allow Hulu to complete direct deals with advertisers programmatically. "The marketplace has shown that data is overwhelmingly the new currency," said Peter Naylor, Hulu's svp of ad sales, in August. "With this new offering, Hulu is at the forefront of defining 'programmatic' for the digital video ecosystem and will increase efficiency and ROI for marketers." Weeks later, when Hulu announced its ad-free option, Naylor pointed to the programmatic deal as evidence that it's "pursuing a dual revenue stream with subs and advertisers." He added, "And we do not intend to miss a beat."